COFES is 8 weeks away! If you plan on joining us, you’ll want to register soon at: register.cofes.com. We’re likely to fill up our hotel block by the beginning of March, so you might want to register soon to assure a spot at the resort. If you don’t have your invitation code handy, drop me a note at: becca@cofes.comor call me at +1-802-871-5627. Or you can visit apply.cofes.com to apply for a new invitation. If you won’t be able to join us, let me know with a quick note so we can invite others on our list. If you have any other questions about COFES, feel free to reach out to our Chairman and Founder, Vincent Caprio at: vincent@cofes.org or +1-203-733-1949. It’s no secret that the vast majority of our typical COFES attendee pool is aging. Jokes have been made for years about the number of salt’n’pepper and white hair that dot the audience in all the videos. At COFES 2018, we’re trying to change that. As a special incentive to our younger folks, we’re offering a deep discount of $1295for anyone who registers that’s under the age of 35. Our goal is to hit 35 people who take us up on the 35 and younger incentive. If you, or anyone you know, meets this criteria, please put “UNDER35” in the Total field when you fill out the online registration form. We’ve got three great keynotes set for COFES 2018. On Friday, Ping Fu will discuss the changing relationship between us and our tools. On Saturday, Keith Schubert will discuss his work unlocking the patterns of life, and what AI can teach us about living in scarcity. Following Keith will be George Gilder, who will explore the impact of blockchain and other technologies on the global economy. Buddy, can you spare a notebook? Each year at COFES we ask for attendees to bring their old laptops/notebook computers. We plan on continuing this once again for COFES 2018. We hope you’ll participate by bring your unwanted systems with you. We’ll wipe the drives, refresh the system, and donate to kids who need them. You may have noticed that the COFES Agenda doesn’t have a list of the topics for any of the roundtable discussions. That’s because we wait until we’ve had a chance to talk with all of the COFES participants before the topics get set. Now’s your chance to put your hot issue on the platform for discussions. What key issues do you want on the table for discussion at COFES? Send a short description to becca@cofes.com so that we may consider your issue for discussion. For ideas, please take a look at last year’s agenda discussion subjects (scroll down to 11 am on Saturday). The final COFES 2018 discussion topics will be posted by the end of March. COFES Library: What have you written lately? The COFES Library focuses on books written by COFES participants. If you’ve written a book, bring a copy with you to donate to the Library, where attendees can peruse books during COFES. We’ll set aside a safe place for the books to be reviewed during COFES, and we’ll store the books during the year. Be sure to have the book(s) arrive before April 10. The DaS Symposium (Design & Sustainability) is an open conversation of the role of design and software for design in the context of sustainability. When planning your travel to COFES, please remember that the DaS Symposium at COFES will once again be held from 8:30am to 3:00pm on Thursday, the first day of COFES. Today we are proud to announce our next Water 2.0 Conference located on the campus of Pfeiffer University in Raleigh-Durham, North Carolina. Our Conference Chairman is Dr. Kenneth E. Russell, Vice President for Digital Transformation and CIO at Pfeiffer University and Author of Social Knowledge. 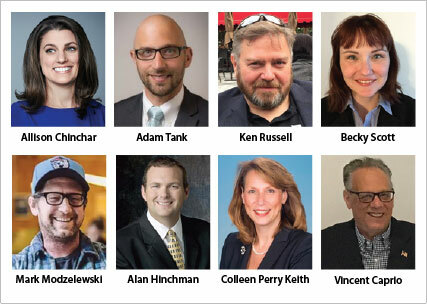 The Water 2.0 Conference: Digitally Connecting the Water Industry will focus on the use of data analytics, software, cyber security for water utilities and industrial water users. Participants will include water and energy industry authorities, utilities professionals and representatives from the EPA. 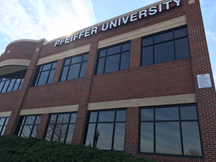 I am really excited to continue our Water 2.0 series with Pfeiffer University in 2018. Click here to see completed Water 2.0 events. Looking forward to seeing you in Raleigh-Durham on May 17th! At COFES 2018, Mr. Gilder will be speaking about his forthcoming book, Life After Google, which is due to be published in 2018. The new book examines and discusses the coming profound shift in the global technological and business landscape being ushered in by blockchainand other emerging technologies. 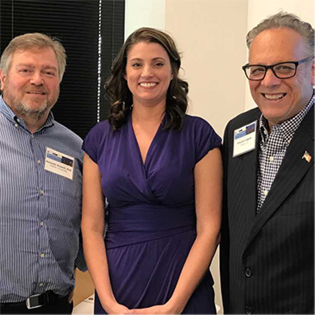 Pfeiffer University’s Center for Digital Transformation (CDT) has hired a new consultant to expand the university’s impact in the energy and water industries. Vincent Caprio, Director and Founder of the Water Innovations Alliance Foundation, will provide Pfeiffer’s CDT with the insight and connections necessary to identify technology-based solution opportunities in these exciting fields. 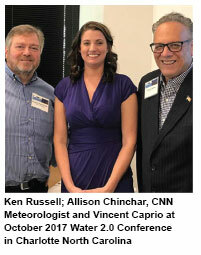 Caprio, who Keynoted at the Water 2.0 Conference held at Pfeiffer in September and will be presenting at the upcoming conference in Raleigh on May 17th, has produced 20 Water 2.0 conferences during the last 10 years. Caprio has been a noted speaker at numerous emerging technology conferences throughout America over the past two decades. 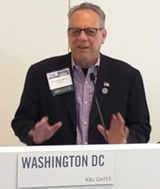 He has testified before the EPA and OSTP and has contributed to several business publications dedicated to bringing effective solutions to the municipal water industry in order to help utilities work smarter and upgrade systems efficiently. “I am thrilled to become part Pfeiffer’s CDT team and to collaborate on finding innovative solutions to difficult challenges,” said Caprio. The Center for Digital Transformation promotes a practical approach to solving complex technology problems. CDT is focused on building strong partnerships and providing applied and experiential learning opportunities for students while transforming the way the educational experience is developed, packaged, delivered and supported. You are currently browsing the Evolving Innovations weblog archives for February, 2018.